Freetown (AFP) - A 16-year-old girl in Sierra Leone has died from Ebola, dealing a blow to optimism that the west African country has finally turned the page on the devastating epidemic. The teenager died Sunday in the city of Makeni, in a northern province that had not recorded a single case of the deadly virus in nearly six months, officials said. Her death came some two weeks after a 67-year-old food trader died of Ebola in a neighbouring district, but the National Ebola Response Centre (NERC) said the two deaths were not linked. Makeni is located in Bombali province, bordering Guinea. The province last reported a case nearly six months ago, official records show. On August 24, President Ernest Bai Koroma led a festive ceremony celebrating the discharge of Sierra Leone's last known Ebola patient, from a Makeni hospital. No new cases had been recorded in more than two weeks, allowing Sierra Leone to join neighbouring Liberia in the countdown to being declared Ebola-free, with Guinea the only country where people were still falling sick with the deadly haemorrhagic virus. 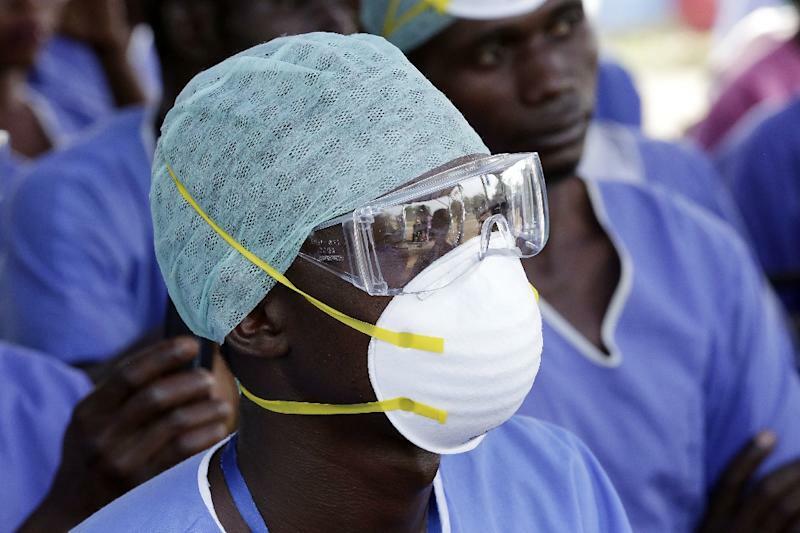 The World Health Organization (WHO) says a province or country can be declared Ebola-free 42 days after the last confirmed case has tested negative twice for the virus, once after each 21-day maximum incubation period. But experts stress the risk may persist because the virus can live on in bodily fluids, notably sperm, for months. NERC said the new death was "disappointing" but that response teams were well prepared to cope with such an event. The village in Kambia district -- also on the Guinea border -- where the 67-year-old woman worked as a food trader was placed under quarantine after which four further people were diagnosed with Ebola. More than 100 people have since taken an experimental vaccine against Ebola that has seen success in Guinea. The girl had reported symptoms last Tuesday but was not hospitalised until Saturday, residents told AFP. A local NERC spokesman said her parents, teacher and classmates were being monitored and that she had not recently travelled outside the area. As the region emerges from the Ebola nightmare, life is returning to normal in all three countries, with a presidential election campaign kicking off in Guinea last Thursday, and Brussels Airlines doubling its flight frequencies to Freetown and Monrovia to four per week. The WHO, hoping for full eradication of the epidemic by the end of the year, is entering "Phase 3" with the three governments, mainly concerned with stamping out "residual risks" -- such as that survivors can still harbour the virus.